Here’s a look at some of the most fun or useful jailbreak tweaks that came out this week. If you like these tweaks, but don’t have a jailbroken iOS device, you can check out jailbrea.kr to learn more about how to jailbreak your iPhone, iPod touch, or iPad. 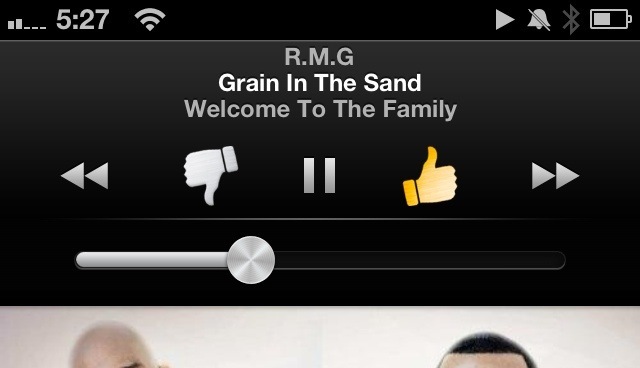 ThumbsUp adds a few new ways to interact with your Pandora music. The primary method is a set of Activator actions that let you use gestures to thumb-up or thumb-down the current song. Another useful method (which is actually disabled by default) is a pair of buttons on the lock screen music controls that let you give feedback on the currently-playing song. You can turn the lockscreen buttons on in the tweak’s preferences inside the Settings app. Thumbs Up is available for free on BigBoss. Let’s do some word association. What do you think of when I say the word “Tapatalk”? If you thought of annoying modal popups interrupting your mobile web browsing, then you’re going to love TapAShutup. This simple tweak has only one purpose: block every single Tapatalk popup. In my experience the success rate wasn’t exactly 100%, but it was still pretty effective. Hopefully in future updates it will be improved to detect the ones that are currently slipping through the cracks. If you hate these popups, you can grab TapAShutup from the BigBoss repository for free. 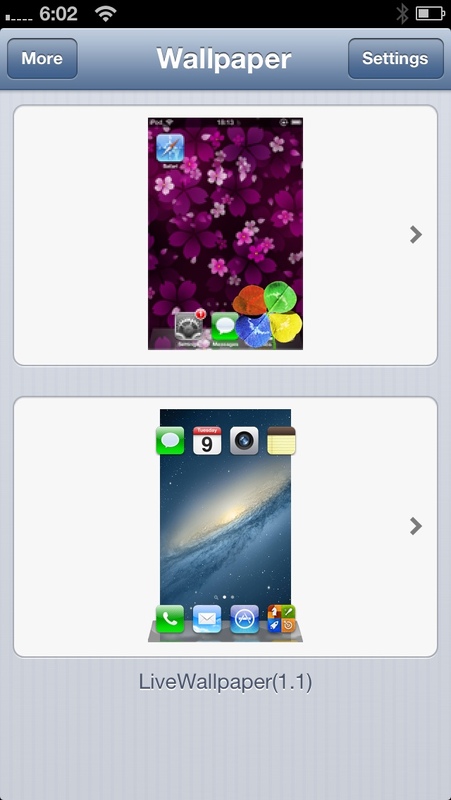 This tweak gives you several new options for your home screen wallpaper. As the name implies, it’s capable of displaying animated “live” wallpapers, but it also has a few other features for those who prefer static images. You can set any image of any size as your wallpaper, if if it’s larger than the size of your homescreen, it will automatically create a subtle panoramic effect that moves behind your icons as you switch between pages. The amount of movement is dictated by the size of the image and number of icon pages you have. While it doesn’t ship with any “live” backgrounds, you an easily install them from Cydia as separate packages, allowing anyone to create one and install it easily. There’s also an option to create an empty first page on your home screen so that you can see your animated wallpaper without any icons obstructing your view. That specific setting is nice for about a minute until you realize you’ll have to swipe over to the second screen to reach any apps that aren’t already in your dock. The settings for this tweak are a bit confusing to navigate at first because the buttons for choosing animated and non-animated wallpapers switch places depending on whether you’re using a “live” or still image, but that’s a minor issue. The animated wallpapers don’t seem to make my iPhone 5 lag, but users with older hardware might want to be aware that it could possibly do so on their devices. LiveWallpaper is free on BigBoss. Crescent is a simple tweak that solves one of Siri’s shortcomings. Installing this tweak will allow Siri to enable and disable Do Not Disturb at your command. It supports a variety of possible phrasings for the command, and works in all sixteen languages supported by Siri. You can get Crescent for free on the BigBoss repo.